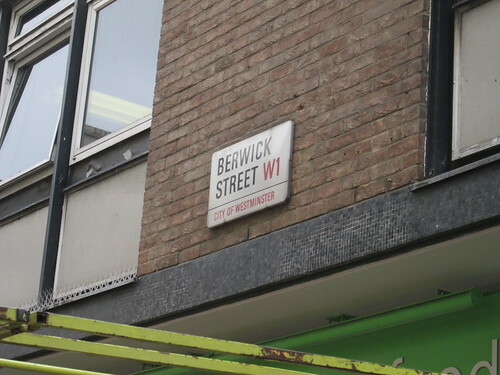 Berwick Street Market is one of the oldest in town, having been established in the area since the late 19th century. Traditionally home to old school fruit and vegetable salesman, you would walk down the narrow street and be met with the cacophany of tradesman pitching their wares. These days, many of these sounds are muted, and although a few of the fruit and veg salesman remain, new residents are beginning to move in. I have wanted to try these guys for what seems like forever. 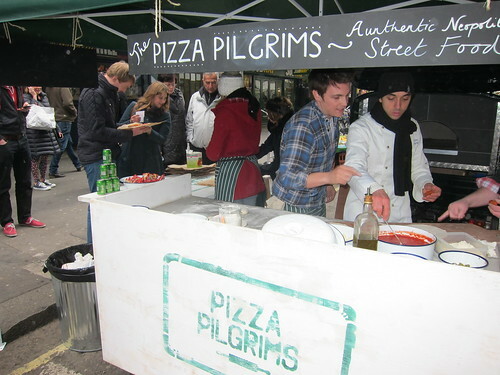 Sadly, they are normally either based in Broadway Market (at the weekends) or at Eat Street at Kings Cross, all very far away from either my home or my office. 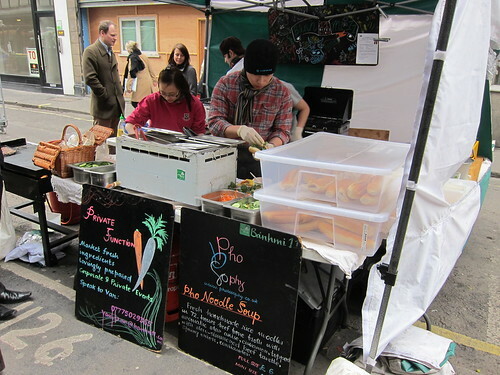 Thankfully, they have relocated to a stall on Berwick street selling their banhi mi, or Vietnamese baguettes. Stuffed to the brim with a variety of meats, pate, chilli and pickled veg, you get a gentle mingling of gently contrasting flavours, all pulling together to form one joyous mouthful. 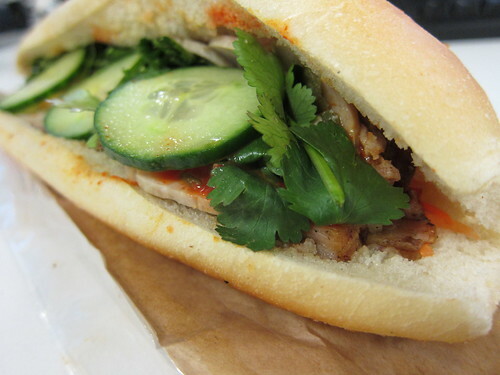 I’m not sure if they make their own baguette, an integral part to the banh mi sandwich, but their version is light yet crisp. Their messaging is 11 mouthfuls of heaven, but I don’t think mine lasted more than 9! Now, I don't really need to say a lot about these guys, mainly as I already wrote a brief bit about them HERE, but also because their product very much speaks for itself. Not many people go all the way down to the south of Italy to drive back their Piaggio Ape van from Italy back to England, learning how to make pizza along the way. 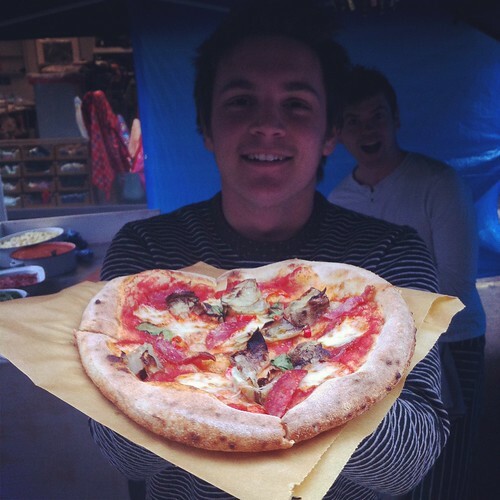 I strolled over on day 2 for them and they were in full flow, churning out pizzas and learning what the best way to go about things. With rotating specials, one thing remains true on their menu, and that is of the original margherita. Influenced by Naples, made in Britain, these guys are one to watch. @ Emma - It's an excellent and cheap pit stop!